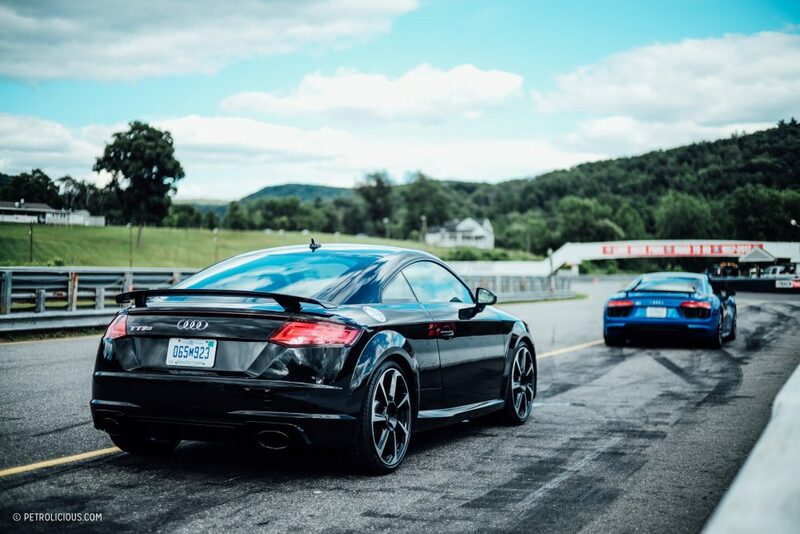 I’ll come right out and say it: I have always loved the Audi TT. It gelled with me the first time I saw Hugh Grant’s seminal coming-of-age film About A Boy, where the car played a prominent role as the life raft used to connect Hugh’s rakish bachelor-island of an apartment with the larger outside world. Then again in Tom Cruise’s Mission Impossible. The car was fresh, minimal, unpretentiously German, born out of that unerringly optimistic design language of the late 90s. To me, that shape was an immediate icon, and it’s a design that I think still looks relevant on the road today. 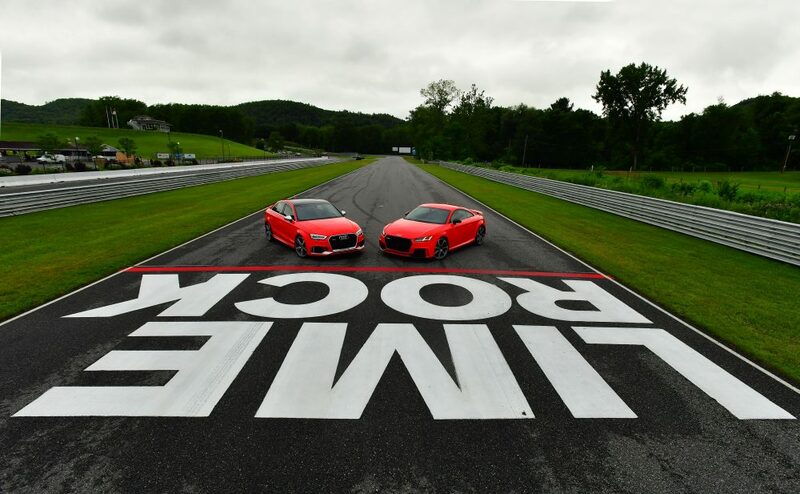 Which is convenient, considering that the TT—as it stands in the model year 2018—is the result of a 20-year-long honing process that has frustrated some (see: youtube commenters who use the word “hairdresser” as a derogatory term) and pleased others (see: me). 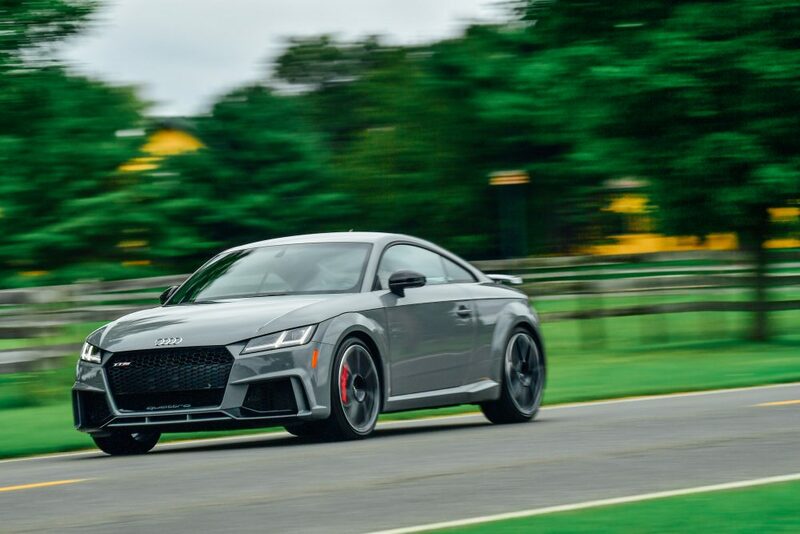 What has radically changed for the 2018 model year is that the TTRS gets a full update, and with it a 3.6 second 0-60 time courtesy of a twin turbo straight-five equipped with the kind launch control that puts axles to the test. I don’t care who you are, what your job is, or what you think about the slow evolution of the TT design. 3.6 seconds is damn fast for a car that starts at $65k. 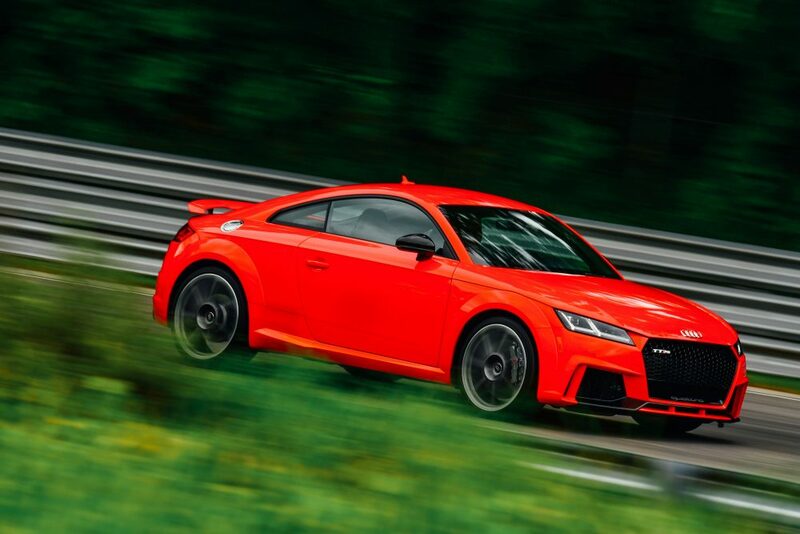 As I mentioned before, there’s not a soul on the street who will mistake the new TTRS for anything other than a TT, except it appears that someone at Audi has gone into the R8’s closet, helped themselves to as many bits and bobs as they could get their hands on, and then bolted them directly to the TT. Does that steering wheel look familiar? Why yes, it has recently been relieved from an R8 just across the assembly line. I’ll also come out and say that I am genuinely impressed by how far the Audi MMS system has come, and how effective the in-dash info/nav system is on this little guy. 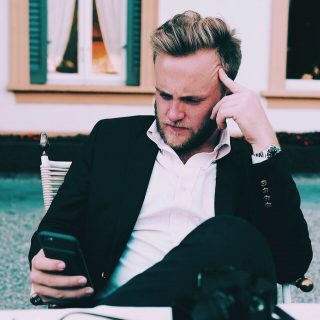 Everything is focused, intuitive, and lightning quick. I’m also obsessed with the company’s wise move to the new HVAC registers; such a simple execution that makes so much sense. 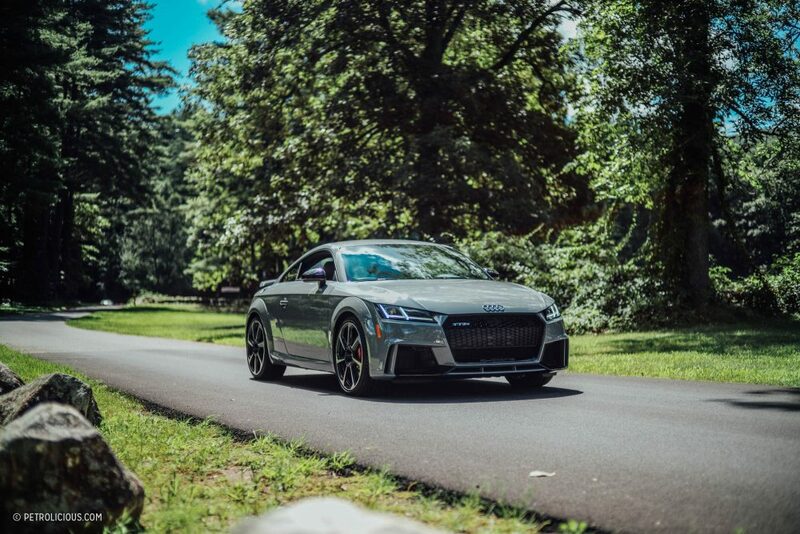 First of all, if you’re reading this on Petrolicious there’s only one option worth springing for in the TTRS and that’s the Dynamic Plus package. Checking that box at the dealer gets you out of the (surprisingly premium) magnetic ride suspension and into a fixed shock, carbon ceramic brake configuration. 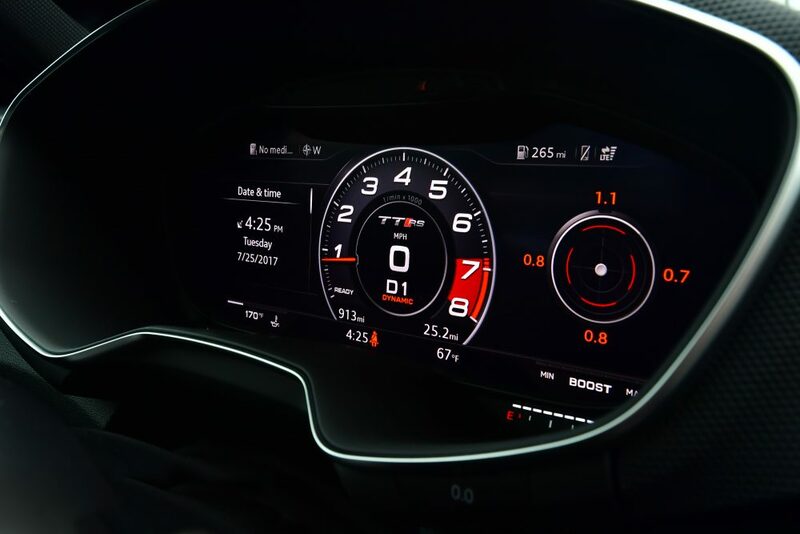 Oh, and the top speed jumps up from 155 to 174mph. Not slow to start, and decidedly fast afterward. Purists are going to continue to gripe about the shared MQB platform that the TTRS has under its shell, but I’m here to tell you that with Dynamic Plus the car is an absolute beast. 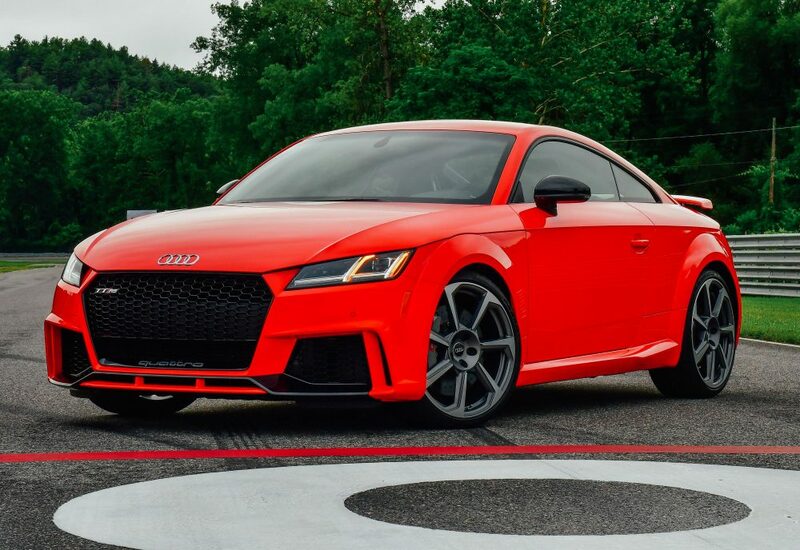 As our friends over at Gear Patrol pointed out, the 2018 TTRS is a full second faster than the 2012 R8 (in V8 configuration) from zero to 60. That’s an incredible feat considering the starting price of the TTRS. One thing purists and armchair enthusiasts alike will groan about on and on is that we’ll never see a manual version of this bad boy—which is of course regrettable—however the seven-speed S Tronic dual-clutch system does do a pretty great job of replicating a sequential clutch-less manual when in S mode. M1 is the only gear it will automatically shift up in. 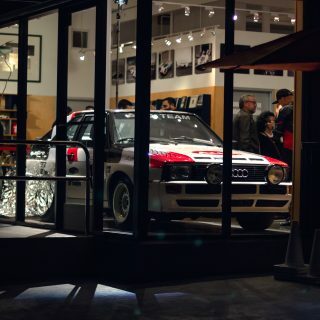 Look, every single one of us—including most Audi employees—wishes that they were currently driving RS2 Avants. That’s just not gonna happen any more though, and we have to start to find our peace with that. 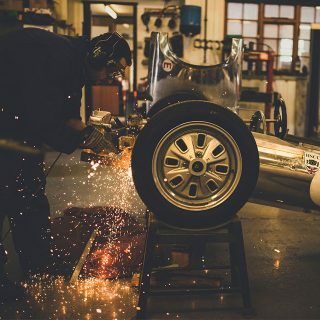 What we will continue to get however is an increased commitment from the engineers in Ingolstadt to bring RS goodies and performance oriented products to our shores. Will they have manuals? No, sadly not. 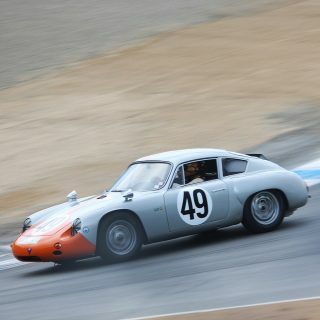 Would the car be slower with a manual? Yes, obviously. 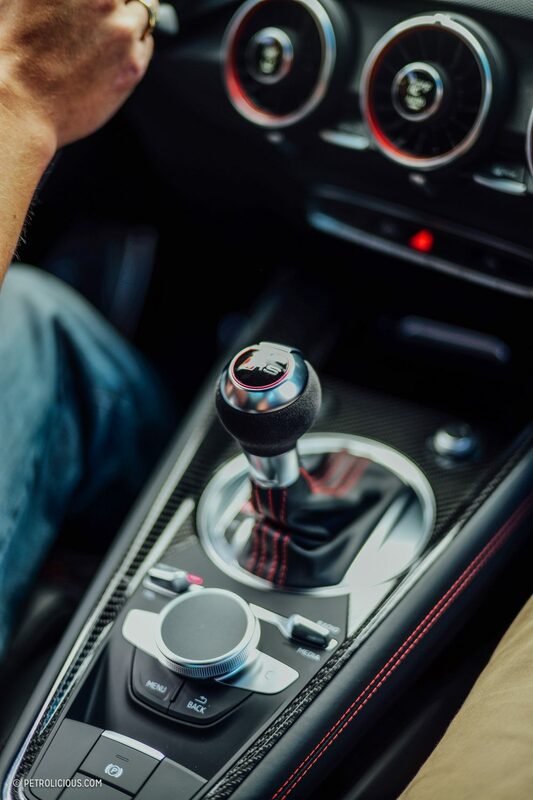 Would the car be more fun with a manual? Perhaps. It’s tough to say. 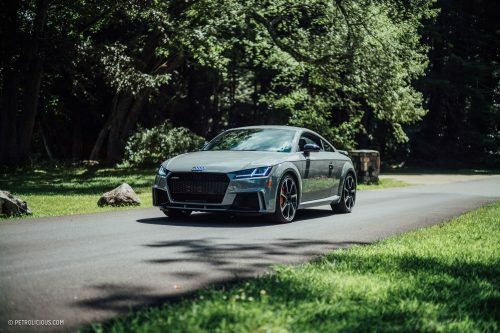 The TTRS for me offered a screaming amount of performance at a downright reasonable price in something that isn’t made in Stuttgart. 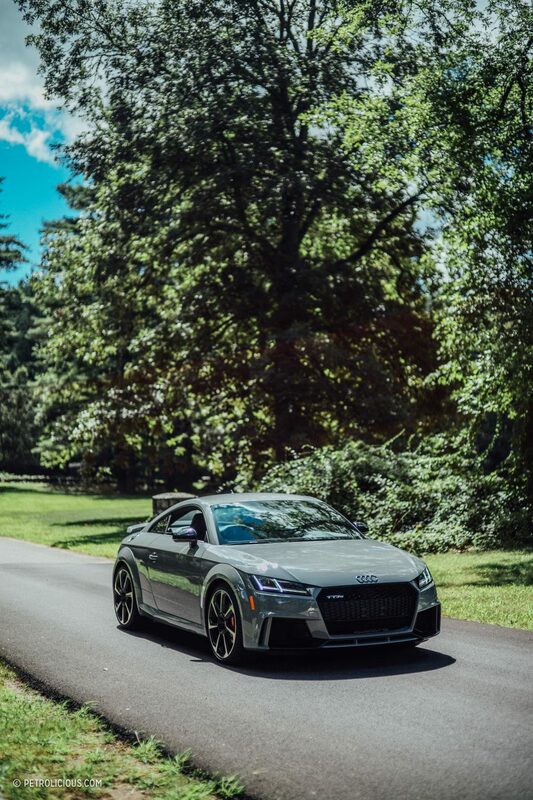 I’m obsessed with the interior, I think the exterior is an aggressive update on a design I personally hold near and dear, and at the end of the day I had an amazing time ripping it around Lime Rock and the roads nearby. 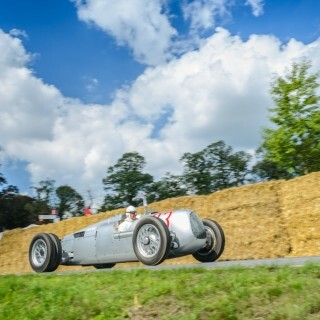 What type engine / power / weight? Is this still based on the VW front wheel drive platform with a turbo or supercharged four? What size wheels / tires? I love the 7-spped twin Clutch in my BMW M4. Most un informative review ever. I doubt your qualified to even comment on the driving experience or feeling this car gives when you drive it, considering I bet you never have driven it in the first place. 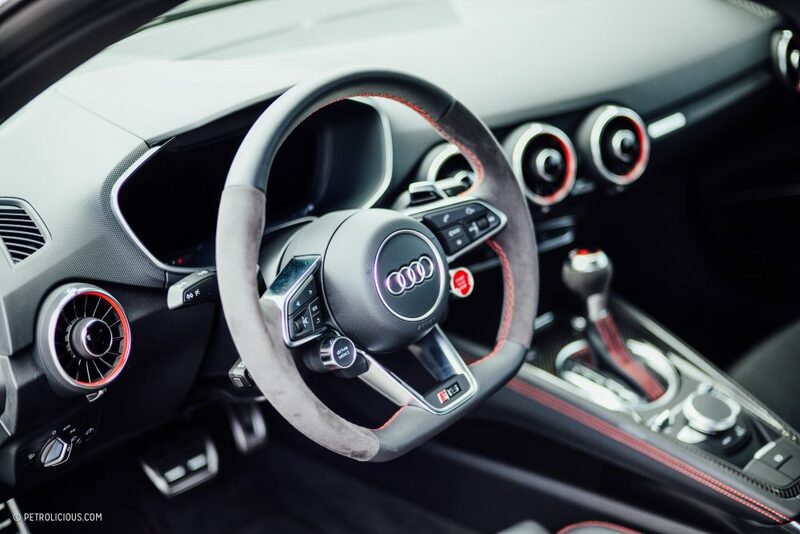 Clearly you’ve got some negative perception towards Audi’s, which is fine, and I understand your disappointment to the nannies and driving aids found in some modern cars, but I think you’ll find some modern cars can pleasantly surprise you. Regardless, I think Mr. Gushue knows quite a bit more then you about the new Audi TT RS, considering he wrote the review. Yours is comment so riddled with self contradiction I can barely believe anyone with a modicum of automotive knowledge would post such a thing . e.g. First you rightly condemn the current developments in the auto industry … then laud the stupidity and overt technology for technology’s sake complexity .. abject lack of quality , reliability and hideous customer service of TESLA ? 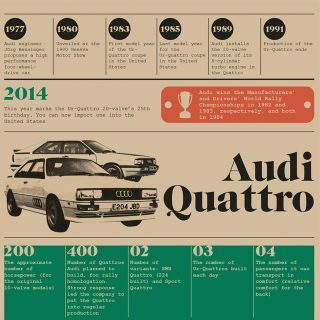 I had a first generation TT 3.2 V6. It looked great and the V6 made a nice noise, and went well in a straight line too but was otherwise really dull to drive. Cost a lot to run for what it was as well. Reading the reviews in EVO and Autocar, this one sounds exactly the same only faster so I will pass. Is the original TT 20 years old now!!? Goodbye youth. I’ll miss you. I too have been a fan of the TT, thank you for this view into the RS! It’s going on the vision board now.